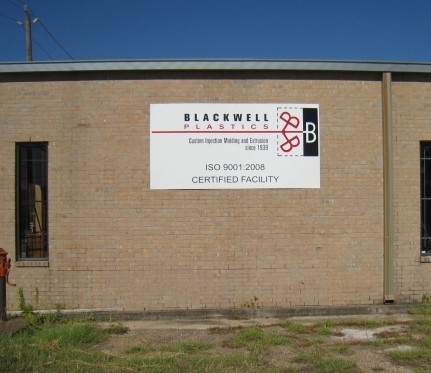 In August of 2012, the Blackwell Plastics operation was certified by DAS as operating to the standards of ISO 9001:2008. Founded in 1939, Blackwell Plastics is a custom manufacturer of plastic injection molding and extruded products. The company operates 28 injection molding machines to 600 tons and 5 extrusion lines to 3.5". The extrusion operation supplies custom plastic profile, rod and tubing in engineering grade materials. "The quality system established in 2004 and had been operating to the standards of ISO 9001:2008, but the certification helps our business as more and more customers are requiring certification and is just good business practice" Jeff Applegate, President, said. For more information on injection molding and extrusion services contact Blackwell Plastics Engineering at (713)643-6577.